…And the award for best (pretty much every category) goes to….Bhaag Milkha Bhaag!! There was no surprise that this Rakeysh Omprakash Mehra film starring Farhan Akhtar would take home a grand total of 16 IIFA trophies! The true hero of the night, however, was the real Milkha Singh. 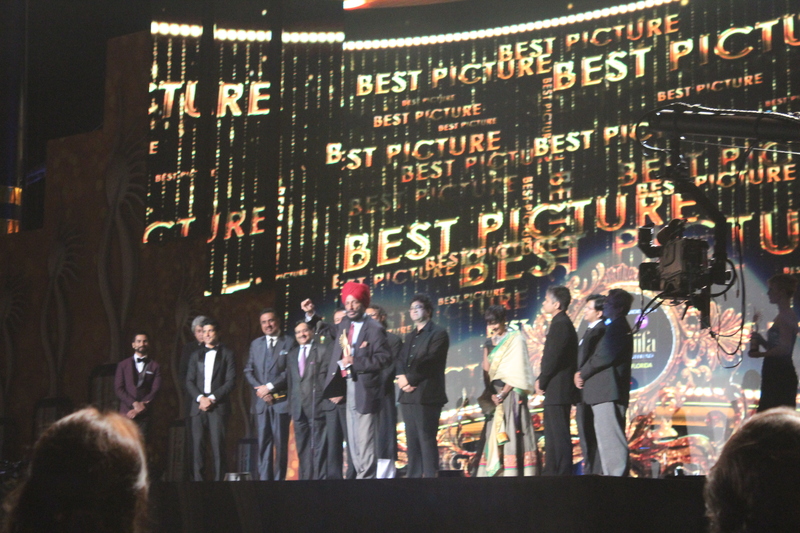 Director Mehra generously handed Singh the coveted “Best Picture” trophy – at 84 years old, Singh was honored on stage and was the star of the night. As a Lokvani.com journalist, I had the opportunity to meet the legendary athlete known as “The Flying Sikh,” on the IIFA Green Carpet! What a hero – and still in such great shape! The performances were mind-blowing! Ranveer entered on a motorcycle circling the stadium, Priyanka acrobatically emerged from the sky, Deepika danced to her best number, “dhol bhaje,” Siddharth strut his stuff to make every young girl’s heart skip a beat, and Madhuri floored us with her graceful dancing to our favorite classics. Hrithik’s Krrish-themed performance, however, was the most jaw-dropping of them all. Stunning the audience with his usual flair and unique dance style, Hrithik suspended all memory of the fact that less than a year ago he was undergoing brain surgery! IIFA is not only about the awards ceremony, but also about a weekend full of celebrations surrounding fashion, music, acting workshops, business, and glamour. 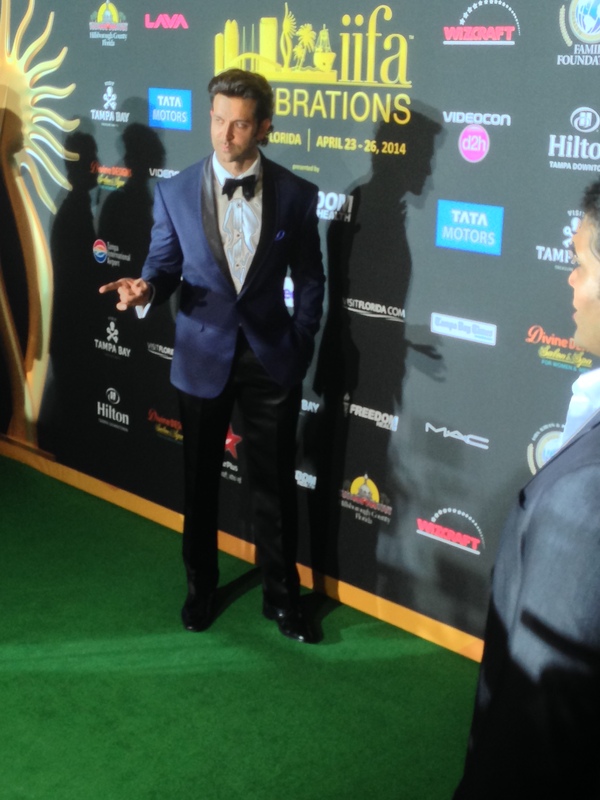 Even Hollywood’s very own, John Travolta and Kevin Spacey, embraced Bollywood at the IIFA Weekend events. 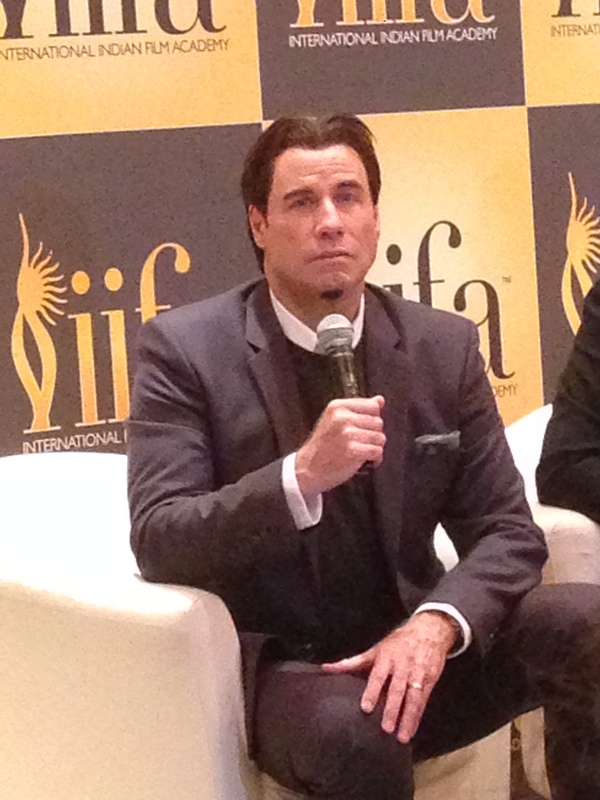 Travolta was honored with an award for Outstanding Contribution to International Cinema. At Travolta’s press conference, I asked him, “If you could be any Bollywood actor, who would you be?” This was his response! Travolta also revealed to us that he will likely star in Shekhar Kapur’s Bollywood movie, Paani, which is set to start filming this fall in India and Spain. This Saturday Night Fever star is even hoping to participate in a “dance number” for the film! Later that night, Travolta showed off his legendary dancing skills at the show with Hrithik and Priyanka. Priyanka Chopra waves to us! Kevin Spacey, the star of the Netflix series, House of Cards, held a Master Class Panel with Priyanka Chopra – an exclusive event open only to sponsors and VIP ticketholders. The two-time Academy Award winner stated, “I would really love to do a play in India because I think the theatre scene could really use a boost.” His enthusiasm for Bollywood was truly exemplified that evening, as he did a hilarious “lungi dance” with Deepika, Shahid and Farhan at the show. 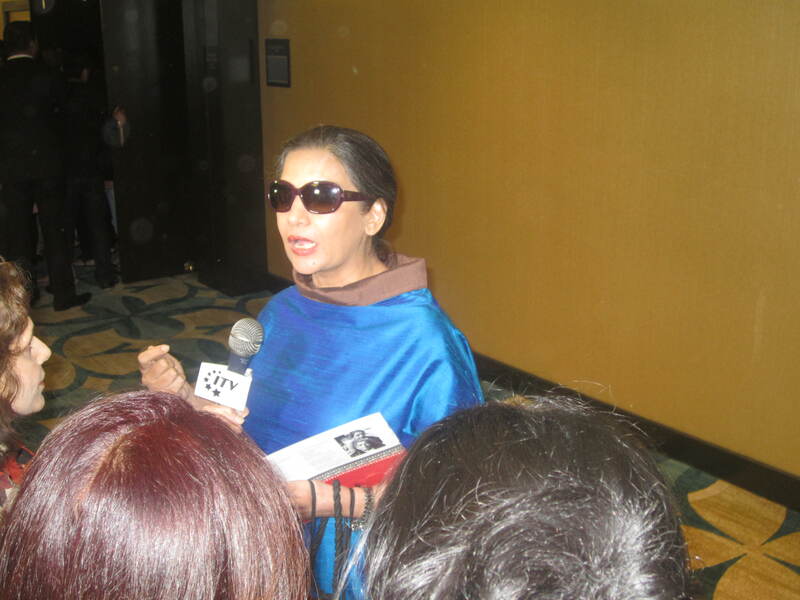 During the daytime before the awards show, fans had the opportunity to visit the IIFA Expo at the Tampa Convention Center. There were stalls of delicious Indian food, jewelry, garments, and extravagant fashion shows. Parineeti Chopra also attended the Expo to host the fashion show raffle and greet her fans. If fans weren’t at the Expo, they were most likely caught standing outside the main IIFA hotel, Hilton Downtown Tampa, eagerly waiting to catch glimpses of their favorite stars. 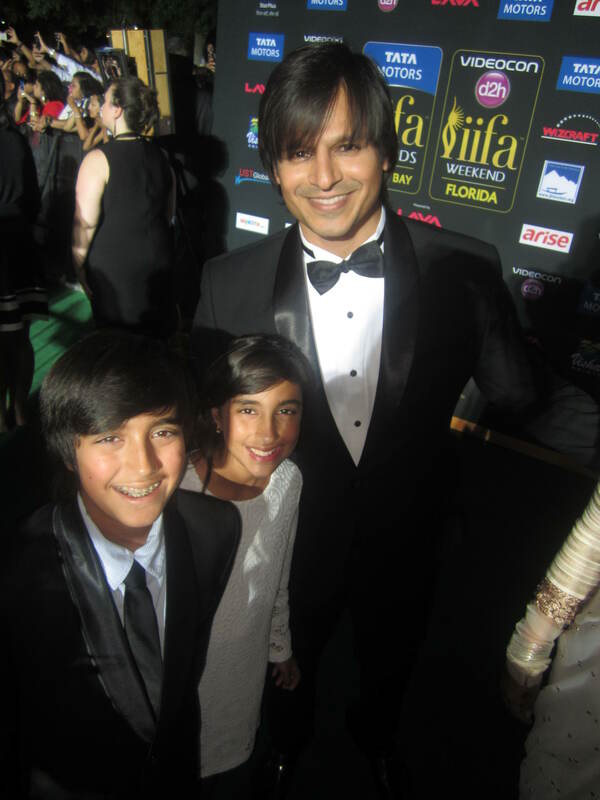 As a journalist, the most exciting part of the weekend was attending the Green Carpet Events for the IIFA Awards show. Over 50 Bollywood stars, directors, and singers walked the carpet, waving to their fans, signing autographs, interviewing with the press, and of course, showing off their stunning outfits to the photographers. Social media played a significant role on the Green Carpet – stars could take ‘selfies’ at the Instagram station and also get captured on a 360-degree video camera! 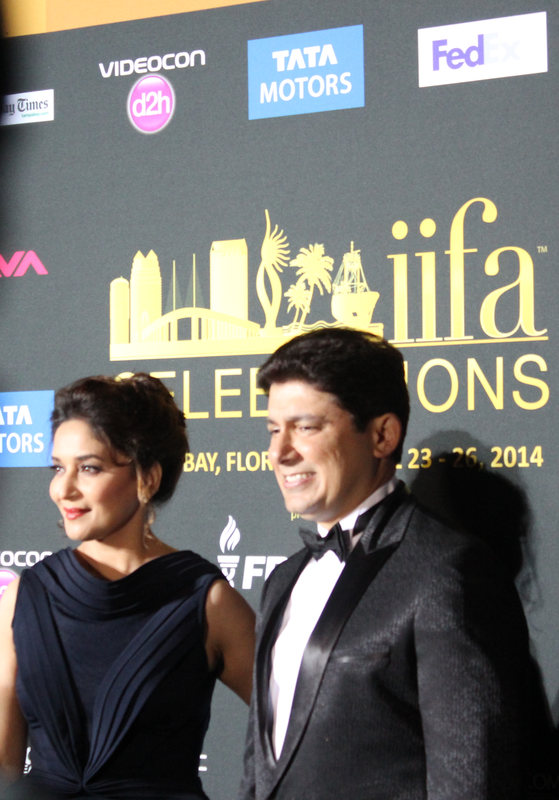 All in all, the 2014 IIFA Awards and Weekend were a blast and huge success for Bollywood’s presence in America. The Tampa community and sponsors Drs. Kiran and Pallavi Patel were fantastic hosts for this incredible event we will remember for a lifetime. Let’s hope IIFA returns to the USA in the near future! Hrithik Roshan, Deepika Padukone, Madhuri Dixit, Priyanka Chopra, Aftab, Vivek Oberoi, Rishi Kapoor, Arsad Warsi, Shabana Azmi, Govinda, Bipasha, Diya Mirza, Rahat Fateh Ali Khan, Shankar-Eshaan-Loy, Milkha Singh, Kalki, Ritesh Deshmukh, Anupam Kher, Ranveer Singh, Vani Kapoor, Nirmat Kaur, Yami Gautam, Gohar Khan, Saif Ali Khan, Kareena Kapoor, Mika Singh, Sakina Jaffery, Sharman Joshi, Gulshan Grover, Aditya Roy Kapoor, Boman Irani, Malaika Arora Khan, Javed Akhtar, Madhavan, Richa Chadda, Divya Datta, Rakesh Omprakash Mehra, Kevin Spacey, John Travolta…and more! Who was not there? SRK and Bachchans! 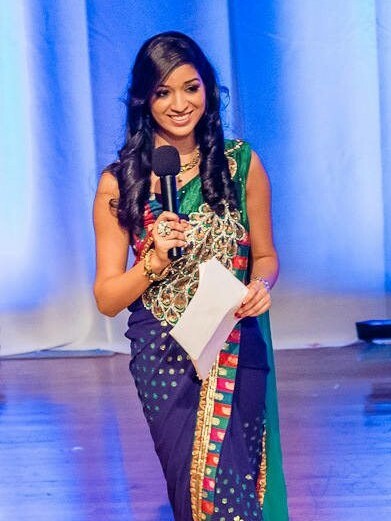 Special thanks to my dear friend, Neha Sanan, for help with photography for this event. Neha, I could not have done this without you!